Vauxhall has had to put up with a fair degree of mud slinging down the years, most of which suggested that under General Motors, the company had become so bureaucratic that it could no longer respond to rapidly changing markets in an adequately timely fashion. In more recent years, that line of argument has begun to look increasingly shaky, thanks to the introduction of a whole range of niche-orientated more versatile vehicles. First the Zafira mini-MPV offered the cleverest seating system known to man and then the Meriva supermini-MPV arrived to offer much of this utility in an even smaller package. With these two models on board, Vauxhall's more conventional passenger cars were able to become sleeker and more stylish - two attributes that had rarely been levelled at Astras and Corsas. Everyone was a winner. But why buy something conventional when you could have something really rather clever? Something like a used Vauxhall Meriva for instance. With examples now beginning to appear on the market in meaningful numbers, a nearly new model offers all the technology at a fraction of the price. There's a lot more to the Meriva than meets the eye. 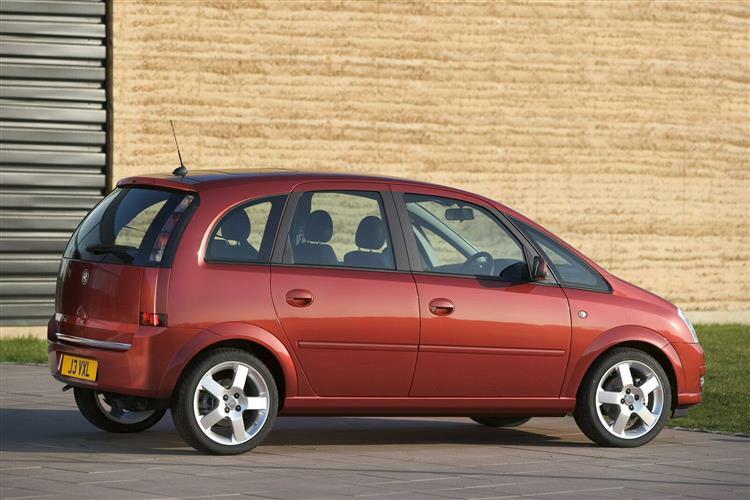 Many expected a sort of inflated Vauxhall Corsa but despite being broadly Corsa-based, the Meriva seems more than the sum of its parts. 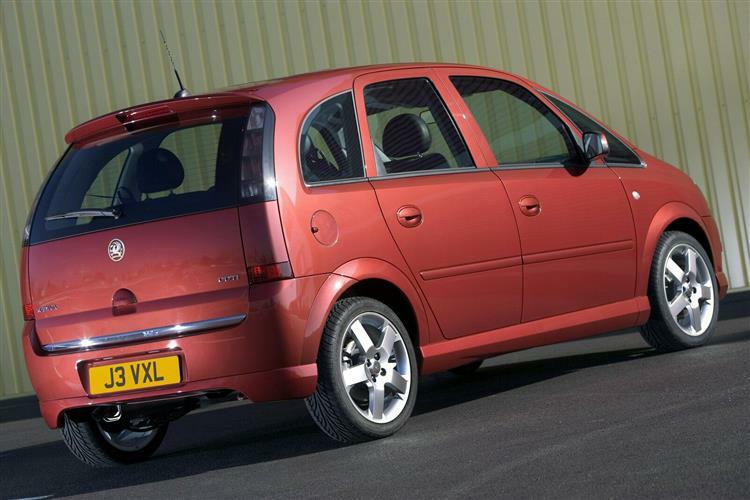 Introduced in May 2003, the car was an instant success, if not revolutionising the market in quite the same fashion as its Zafira big brother. Instead it capitalised on the perceived weakness of Ford's offering in this sector, the Fusion, and arrived at a time when Renault had no model to speak of (the Modus only residing on a designer's CAD station at the time). Peugeot could only offer the half-baked 206SW, MG Rover drew a blank and Fiat's Idea was still forming in the Italian manufacturer's mind. 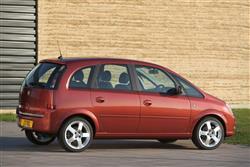 In short, the Meriva had a virtually unchallenged run of it at first. Four engines were offered, 8v and 16v 1.6-litre units and a 1.8-litre petrol powerplant and the pick of the crop, the 1.7-litre CDTi diesel. Four trim levels were offered - the rather cheesily titled Expression, Life, Enjoy and Design. 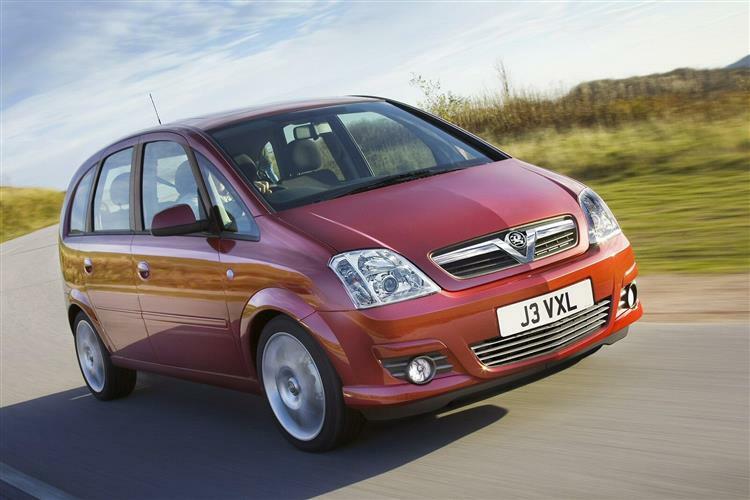 An early 2006 facelift which amounted to reprofiled bumpers, a V-shaped Vauxhall grille, dark lenses for the rear light clusters and a chrome bar running across the tailgate also yielded two new engines. A 1.6-litre Twinport petrol unit and a 1.3-litre CDTi were introduced to bolster the range. Shortly afterwards, the high-performance VXR model arrived with a 180bhp 1.6-litre turbo engine. As with any vehicle that touts itself as some sort of MPV, the Meriva stands or falls on more practical considerations such as interior space, the ingenuity of its seating system, passenger access and overall comfort. It's here that the Meriva comes up trumps. 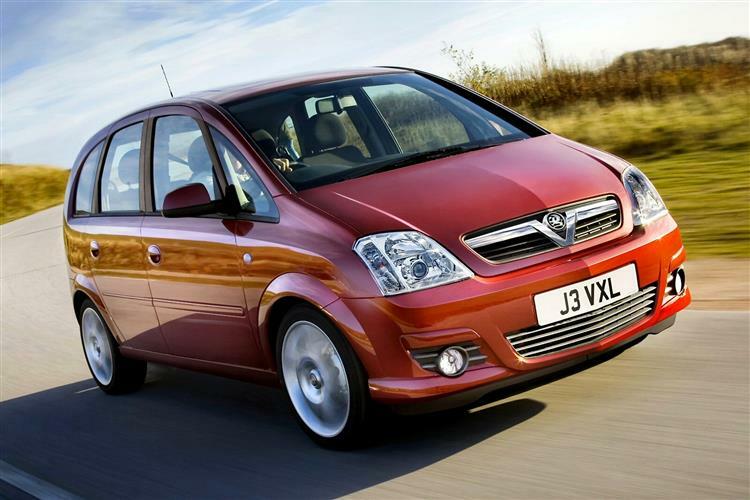 Just as Vauxhall aced the opposition with the Zafira's Flex7 seating system, the Meriva aims to do likewise with its less snappily titled FlexSpace arrangement. With five seats to play with, the Meriva doesn't have as many tricks up its sleeve as the Zafira, but you'll still be able to wow your passengers with a few deft flicks of the wrist. Most of the time, the Meriva functions as a conventional five seat supermini-MPV, but many of us have tried travelling five up in cars like these and it can feel a bit of a pinch. The Meriva goes some way to alleviating the problem by offering one of the widest rear passenger shoulder width measurements in its class, but the real benefit comes when travelling with four rather than five aboard. The centre seat can fold flat into the footwell, leaving the two remaining seats at liberty to slide independently, not only backwards and forwards, but also on runners from side to side. This makes the Meriva feel extremely spacious indeed. But why stop at four? 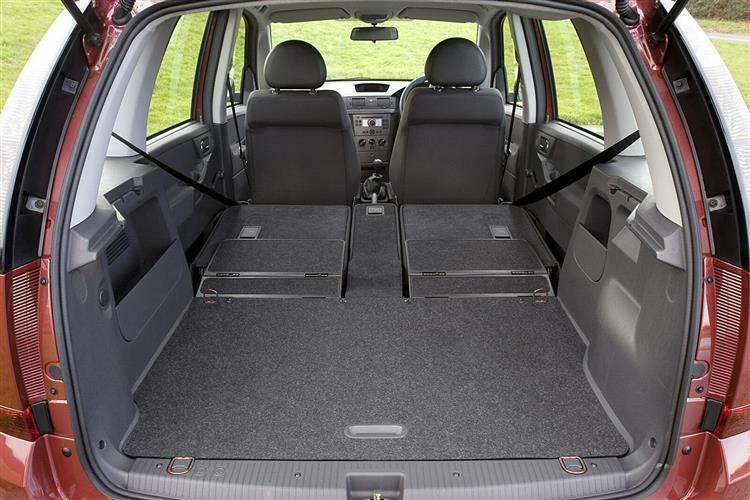 Vauxhall have equipped the Meriva with the capacity for all of the passenger seats to fold flat, freeing up an enormous 1,300 litres of available space. Even with the rear seats in position, there's a creditable 560 litres available. The innovations don't stop there. Twin Audio is a first for a car of the Meriva's class, allowing rear passengers to listen to radio and CD independently from the front passengers using headphones. Other convenience features include front seat backs with airline-style fold-down tray tables, seat back net storage, a removable travel box with arm rest and cup holders for rear seat passengers and, most usefully of all, a tray beneath the boot floor in which to hide valuables. 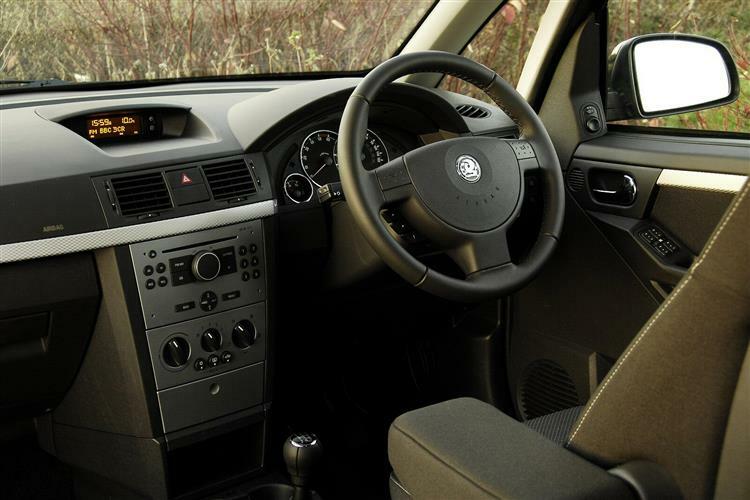 The interior is a welcome surprise too, Vauxhall eschewing the easy option of simply planting the Corsa dashboard into the Meriva, instead opting for a Vectra-style fascia which gives the little Meriva a quality feel. Indeed, ahead of its launch, the British Institute of Vehicle Engineers bestowed the MPV Design Award upon the Meriva, praising its 'crisp exterior styling'. Twin electrically operated sunroofs add an airy feel to the interior, but it's the attention to detail that is particularly impressive. The fuel filler cap houses a small tool for the tyre valve caps that equals clean hands and easy access when checking pressures. The Meriva hasn't been around for too long and few problems have surfaced. Given that the mechanicals are largely Corsa sourced it's unlikely that many will either. As with any car that is used to transport families around, check for damage wreaked by youngsters, including broken fittings, rips or stains on the upholstery and scratched plastics. Also ensure that all of the seats fold away smoothly, as it's easy for dropped items of food or small toys to jam the runners. Otherwise check for the service record and look forward to buying a very capable car. (Based on a 1.6-litre 8v Life) Nothing too scary here. A new clutch will cost you about £110 and a full exhaust system around £350. An alternator is about £125 and a starter motor around £100. A radiator is about £115 and a replacement windscreen close to £145. A tail lamp is about £65 and a headlamp about £90. Most buyers will opt for one of the 1.6-litre models. Whereas the eight-valve models will return a creditable average of 36.2mpg, the multivalve model eclipses it by eking 37.6mpg out of every gallon of 95RON unleaded. Although the Meriva will primarily be purchased by private, family oriented customers, any business users would also be attracted to the fact that the sixteen-valve car emits less carbon dioxide (179 vs 187g/km), thus lopping a significant two per cent from its benefit in kind taxation and making it a far cheaper option to run. The 200 cubic centimetres that the Meriva's 1.8 holds over the lesser 1.6-litre units in terms of engine capacity don't transform the car into a fire-breathing monster but with a 10.9-second time for the 0-60mph sprint compared to 14s in the entry level 16-litre 8-valve, they do help it pick up its heels a bit. If you go for the 1.6-litre with 16-valves, 0-60mph takes 12.9 seconds while the 1.7-litre CDTi can do the same in 13.4s, so the 1.8 is comfortably the most rapid Meriva on the market, bar none. With 125bhp on tap it can also reach a top speed of 118mph where conditions allow and the engine produces decent torque for in-gear exploits, even though it's not as flexible as the gutsy CDTi diesels. The Meriva inherits a good chassis from its Corsa sister vehicle and it copes with the power of the 1.8-litre unit well. It is a car that you can have fun driving but don't expect miracles. It's still ostensibly a high-sided MPV. Vauxhall caught the rest of the market on the hop with the Meriva, and as such it's now around in such numbers on the used market that it's easier to land your choice of engine, colour and trim. We'd opt either for an early 1.6-litre 16v model or a later 1.7-litre CDTi diesel. Whichever model you choose, you can rest assured that you've bought one of the best cars in the class.